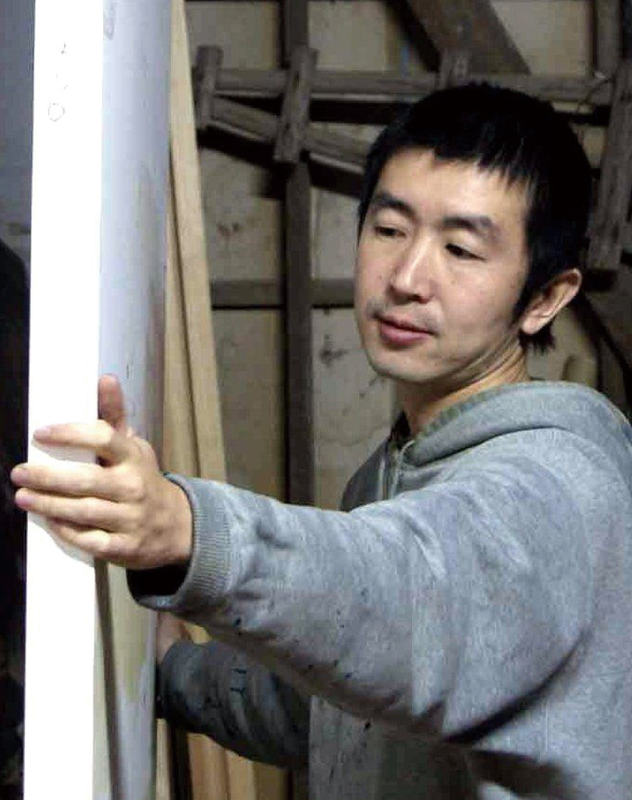 The concerned huge paintings of Hirosige kagawa (16.4m wide by 5.4m high) are as big as unparalleled, which the Great East Japan Earthquake Disaster inspired him to draw. The source of the works is the Miyagi-born painter’s having been put in the face of the Disaster. The works inhere more potentiality than anything other could make you go back to the root. They are of strength flashbacking instantly what the Disaster have brought about beyond time and space. The project of “Tohoku and Kobe Hiroshige Kagawa Big Painting Ties” was led by a grass-root movement supporting the cultural recovery of Tohoku. The Disaster made citizens of Kobe awake again to form a setup for applying the citizens’ donation directly to the cultural recovery of Tohoku. Makoto Shimada who took the initiative in the activity were shocked to meet Kagawa’s first big size work “A Stricken Site Veiled in Snowfall” at Sendai Mediatheque. Passion of the citizens’ initiative materialized the exhibition of “A Stricken Site Veiled in Snowfall” at Design Creative Center Kobe (nicknamed KIITO) in March 2013. The event aimed at producing a composite art of high sociality utilizing the communicability of the work itself and the nature of KIITO which was a reuse of an industrial heritage for cultural activities. And varieties of performances such as playing music, reading poems, dancing, displaying optical installations, discussing, etc. were held. In the second time, January 2014, the event was expanded into exhibiting “A Stricken Site Veiled in Snowfall” and the second work “Gold of Minami-Sanriku” at the same time. We challenged to create a more symphonious composite art with more various performances in association with the two works. Through the two events so far the following mission was recognized by many people. We who experienced suffering from earthquake disasters need to recall vividly each memory then so that we could hand it over to the following generation and we need for more people to be provided with opportunities for earnestly giving soulful thought together to the people being still in difficult conditions in the disaster stricken area in East Japan. We expect the power of art will prevent you from forgetting the Earthquake Disaster and will drive you to go into action out of remaining in mere artistic observation. It will then ask you a question of what you should do and will give you courage to commit yourself on the difficult situation at the same time. We will exhibit his third big painting “Fukushima” in association with various challenges for a composite art, by which we would like to produce a field to think together over the society for the next generation. Since we are marking, on January 17, 2015, the 20th year from the Great Hanshin-Awaji Earthquake Disaster, we plan to make the event reach the climax on that day. Especially the reality Fukushima Daiichi Nuclear Power Station exposed is not the problem of the residents of Fukushima Prefecture. It is the problem in the world history which mankind cannot easily solve. This time, while placing one of the focuses on “how architects have been facing the Earthquake-Tsunami Disaster,” we will develop a discussion, probing deeply, on the outlook of the world after March 11 through various formative arts, performances, talks, optical installations, etc., and thereby will send out the message to Japan and to the world.